A resourceful, hard working and highly motivated mortgage adviser with excellent interpersonal skills and the ability to communicate concisely at all levels. Experienced in sales with a proven aptitude to accomplish exceeding sales targets, meeting tight deadlines while promoting good customer service at all times. As a reliable, self-starting person who has lots to offer in terms of enthusiasm for work and life, has an ability to bring high standards to the workplace. 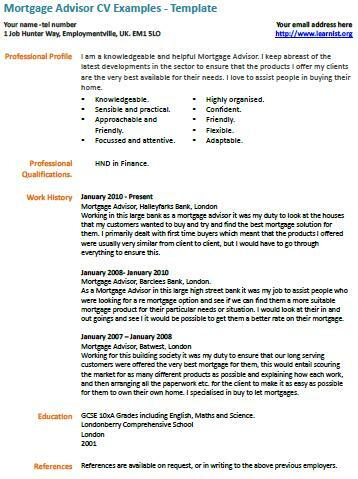 Willing to learn new skills, keep up to date with the best mortgage advice and always open to new ideas.